Present Owner: Friends of The Ralph Connor House Inc. The Ralph Connor House was built in 1914 for the Reverend Charles Gordon, who, under the pen name “Ralph Connor”, prospered by writing many best-selling novels dealing with the opening and settlement of Western Canada. The Reverend Gordon was a Presbyterian clergyman, who was an activist in social and labour causes, and influential in the formation of the United Church of Canada in 1925. With its picturesque shape, steep roof, elaborate chimneys and bay windows with stone mullions, the house is an exceptional example of the Jacobethan Revival style, an architectural style derived from grand seventeenth century British manor houses. The house was designed by well-known Winnipeg architect George Northwood. 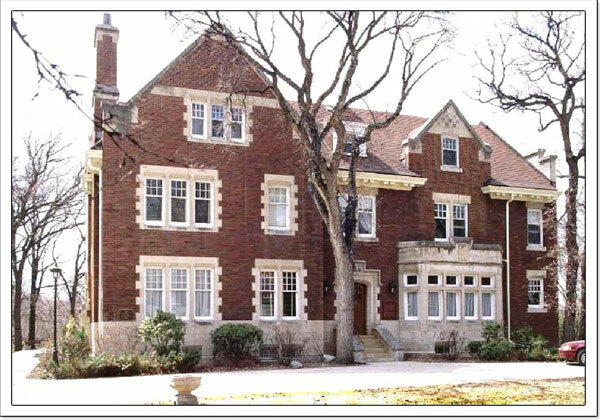 Since 1945, the house and grounds have been carefully maintained by the University Women’s Club of Winnipeg to retain their original character.